Searcy High School students in Mrs. Christine Edelmann's A.P. Government classes had an unusual and exciting learning experience this week. 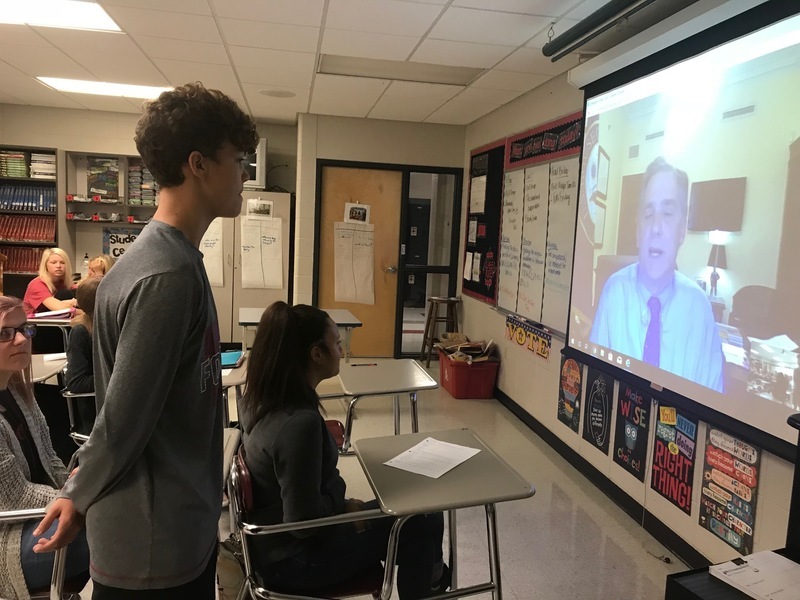 Congressman French Hill discussed the legislative process and answered questions through a Google Hangout. 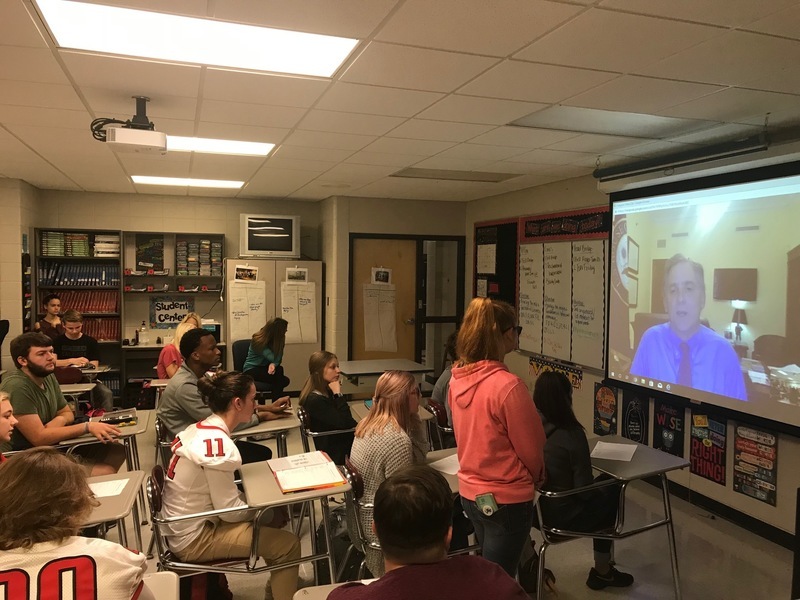 Students had the opportunity to ask questions dealing with current issues as well as how he manages his professional high-profile life. 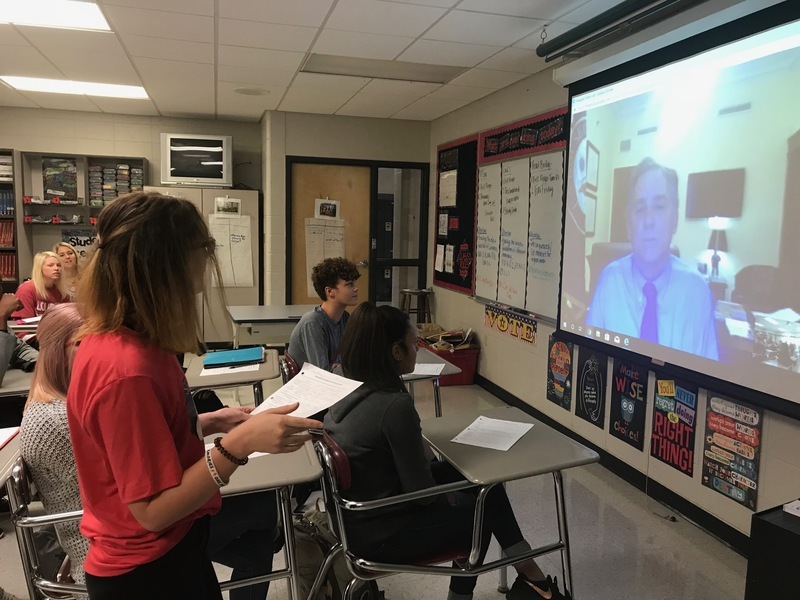 Our students exhibited engagement and interest when visiting with Congressman Hill. We want to thank him and his staff for allowing our students a one-on-one conversation through the use of technology!